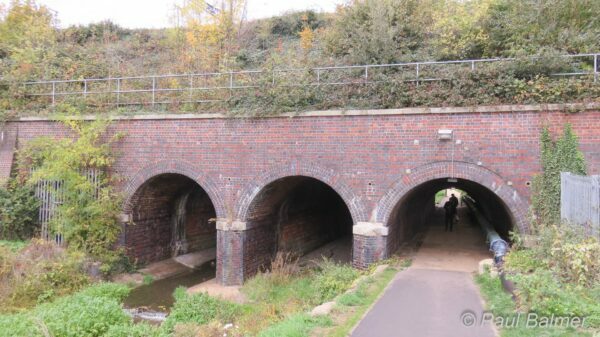 The large embankment with the three arches carries the four tracks of the Great Western Railway Line over the York Stream. The arches are one of several narrow points along the waterway which will limit the width of craft which can use it. Construction of the proposed lock and weir further south will raise the water level to navigable depth, but reduce the headroom at the same time.